The NJ Department of Health (NJDH) announced on April 6, 2018, that it is currently investigating an outbreak of E. coli food poisoning illnesses that may be associated with a chain restaurant; however, the association may be broader than a single chain restaurant. The NJDH reported that it is in the process of gathering food history data from those who became ill as part of its investigation. If you or a loved one are diagnosed with an E. coli infection, are awaiting medical confirmation of infection, or have a question regarding your legal rights, you can request a free legal case evaluation by calling our firm toll free at 1-877-934-6274. Our phones are answered 24/7. You can also submit the easy-to-use Free Legal Case Evaluation found on this page. Approximately 2,349 pounds of beef and veal products are subject to recall due to possible contamination of E. coli. The beef and veal recall, from National Meat and Provisions, a Reserve, La. establishment, is categorized by the the U.S. Department of Agriculture’s Food Safety and Inspection Service (FSIS) as a Class I recall, meaning “this is a health hazard situation where there is a reasonable probability that the use of the product will cause serious, adverse health consequences or death”. What are the symptoms of E. coli food poisoning? The raw non-intact beef and veal items were produced and packaged on Sept. 14-15, 2016. The products subject to recall bear establishment number “EST. M-22022” inside the USDA mark of inspection. These items were shipped to a distributor, as well as hotels, restaurants and institutions in Louisiana. The Weinberg Law Firm is currently assisting victims of food poisoning outbreaks nationwide. We are ready to help you too. If you have been sickened by an E. coli contaminated product in connection to this Beef and Veal Recall, and you would like to learn more about your legal rights, please call our firm toll free at 1-877-934-6274. Our phones are answered 24/7. To learn about our additional legal services please visit Pulmonary Embolism Lawsuit, and Talcum Powder Lawsuit Help. To learn more about our firm, visit Personal Injury Lawyer NJ. Adams Farm E. Coli Outbreak Advisory – On September 28, 2016, the Massachusetts Department of Public Health (MDH) issued a Public Health Advisory alerting consumers of the beef recall and E. coli O157:H7 outbreak linked to certain Adams Farm Slaughterhouse meats. The MDH reported that the agency continues to investigate E. coli O157:H7 cases linked to beef from Adams Farm in Athol, Mass. A full list of the recalled beef, veal, and bison can be found at USDA Beef Recall. The meat products listed in this recall were shipped to wholesale distributors, restaurants, retail stores, and farmer’s markets in Massachusetts and neighboring states. “people should always consume only fully-cooked ground meat, regardless of place of purchase, including organic, grass-fed, and locally-sourced beef. Cooking meat to an internal temperature of 160 degrees Fahrenheit will kill the bacteria. 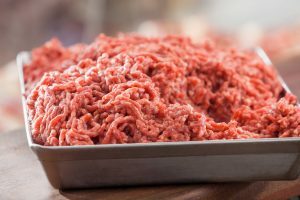 The MDH is investigating four cases of E. coli O157:H7 infection in Massachusetts residents who reported consuming beef processed by Adams Farm during the period in question. On September 24, 2016, the CDC announced that a multistate outbreak of Shiga toxin-producing E. coli O157:H7 infections were linked to Adams Farm beef products. According to the agency, seven E. coli cases were identified in Connecticut, Massachusetts, Pennsylvania, and West Virginia, with illness onset dates ranging from June 27, 2016 to September 4, 2016. Product trace back information was available for 5 of these case-patients indicating that all 5 patients consumed beef products supplied by Adams Farms Slaughterhouse. Please see E. Coli and E. Coli Symptoms to learn more E. coli foodborne illness. The Weinberg Law Firm is currently assisting victims of food poisoning outbreaks nationwide. We are ready to help you to. If you have been sickened in the Adams Farm E. coli outbreak, and you would like to learn more about your legal rights, please call our firm toll free at 1-877-934-6274. Our phones are answered 24/7. Caviness Beef Packers Recall News – On Septmeber 27, 2016, Caviness Beff Packers recalled about 2,100 pounds of beef products due to their potential to be contaminated with the foodborne pathogen, E. coli. Caviness Beef Packers, a Hereford, Texas establishment has recalled approximately 2,100 pounds of boneless beef trim products that may be contaminated with E. coli O103. The recall was announced by the U.S. Department of Agriculture’s Food Safety and Inspection Service (FSIS). According to the Press Release, the problem was discovered when FSIS was notified of a USDA’s Agricultural Marketing Service (AMS) sample that tested positive for E. coli O103. •	The 2,100-lb. Combo Bin of “boneless beef trim 84L” products were produced on September 14, 2016 and further processed into ground beef products by another establishment. The recalling establishment has control of all but 320 pounds of ground beef products. •	10 lb. chub – 73% Regular Ground Beef products with a “Use By” or “Freeze By” date of October 10, 2016 and bear UPC number 52846-48935. •	2-3 lb. tray pack of – 73% Regular Ground Beef products with a “Sell By” date of September 28, 2016 and bear UPC number 2-01656-00000. •	1.5 lb. tray pack of – 73% Regular Ground Beef products with a “Sell By” date of September 28, 2016 and bear UPC number 2-01654-00000. Please see Personal Injury Lawyer NJ to learn more about our law firm. The Weinberg Law Firm is currently assisting victims of E. coli food poisoning outbreaks nationwide. If you or a loved one was sickened after consuming an E. coli contaminated product and you would like to learn more about your legal rights, please fill out the Free Legal Case Evaluation form found on this page. You can also call us toll free, 24/7 at 877-934-6274. You can learn more about food safety and food recalls at our additional firm sponsored sites at Listeria Lawsuit and Salmonella Lawsuit. Adams Farm Beef Recall News– On September 24, 2016, Adams Farm Slaughterhouse, LLC recalled multiple beef, veal, and bison products due to a potential E.coli contamination. The U.S. Centers for Disease Control and Prevention (CDC) reports that the recalled Adams Farm beef products are the likely source of an outbreak that has sickened seven people with E. coli O157:H7. Adams Farm Slaughterhouse, LLC, an Athol, Mass., establishment, has recalled beef, veal, and bison products that may be contaminated with E. coli. The recalled beef products are from animals slaughtered on July 15 through 27, 2016 and August 3through 26, 2016, and further processed and packed on various dates between July 21, and September 22, 2016. The beef products subject to the recall bear establishment number EST. 5497 inside the USDA mark of inspection and include several lot numbers and cuts of meat. The full list of recalled products and lot numbers can be found on the USDA website at Adams Farm Beef Recall. On September 24, 2016, the CDC announced that a multistate outbreak of Shiga toxin-producing E. coli O157:H7 infections were linked to beef products produced by Adams Farm. Seven illnesses were identified in Connecticut, Massachusetts, Pennsylvania, and West Virginia, with illness onset dates ranging from June 27, 2016 to September 4, 2016. Trace back information was available for 5 case-patients and indicated that all 5 case-patients consumed beef products supplied by Adams Farms Slaughterhouse. According to the CDC symptoms of Shiga toxin-producing E. coli (STEC) infection include severe abdominal cramps, diarrhea, and vomiting. The diarrhea may become bloody and can lead to dehydration. There is usually little or no fever. The infection (and its symptoms) will vary from individual to individual, ranging from a mild to a life-threatening illness. If you have been sickened in an E. coli food poisoning outbreak and you would like to learn more about your legal rights, please contact the our firm at 1-877-934-6274. Our phones are answered 24/7.